There is a new era in Chilean winemaking - inspired by the region’s rich soils and old vines, and responsive to the increasing crises of climate change. 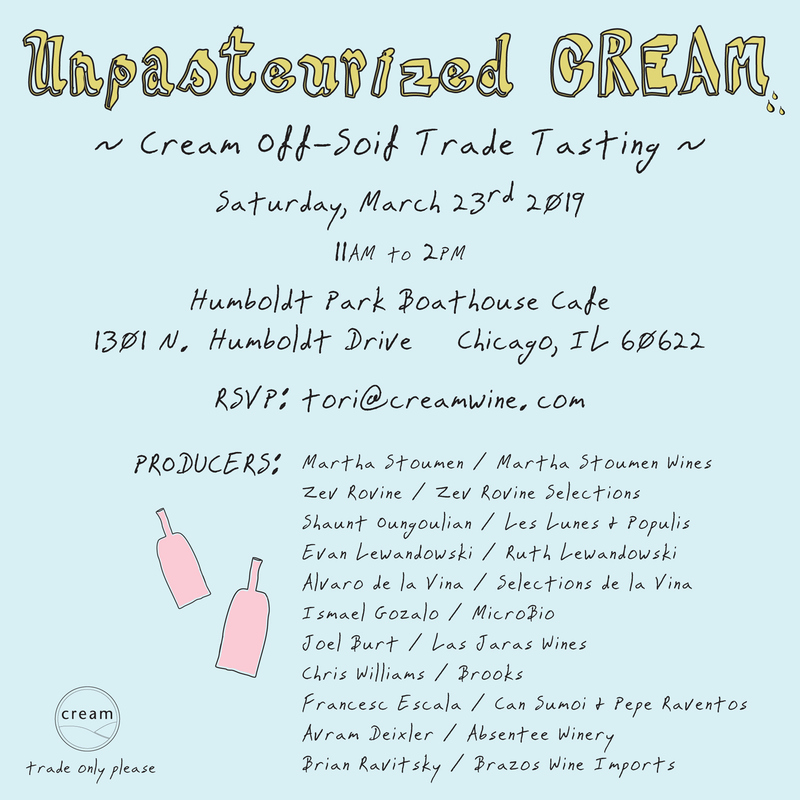 This new generation of Chilean winemakers are pushing the boundaries of the Chilean wine industry, and Cream has worked with Brazos Wine Imports to showcase these entrepreneurial and experimental producers. Drink like the birthday boy this Presidents’ Day! 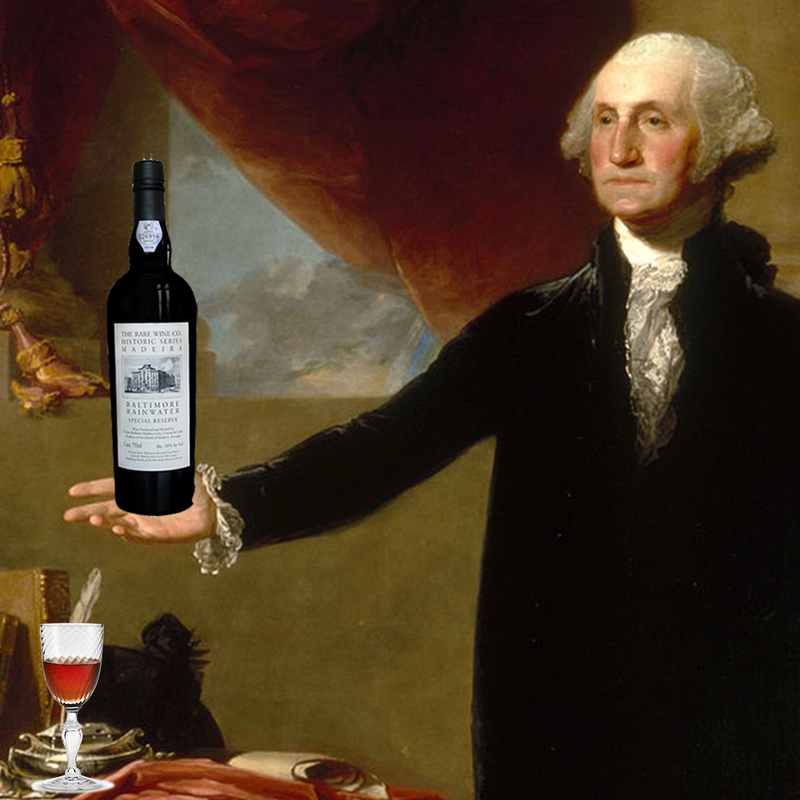 Did you know that George Washington drank Madeira every night with dinner? In fact, our Founding Fathers toasted with Madeira after signing the Declaration of Independence. So we celebrate the versatile and unspoilable fortified wine Madeira in honor of Presidents’ Day. No matter what the cost, you probably wouldn’t take a gamble at an 1850 Bordeaux, but some restaurants serve Madeira wine that old or older, by glass! Why? 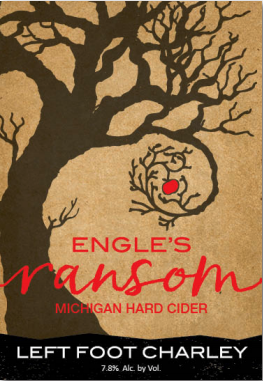 Because this fortified pleasure has a longevity that is simply remarkable. The powerful aromas and vivid flavors last for centuries, and upon open, the wine can still last for years without losing character. A grand wine, it was the drink choice of our founding fathers, popularity higher than Bordeaux and Burgundy…and a wine deserving our recognition 600 years after the Portuguese settled the island of Madeira. This fortified wine gets its name from the small island of Madeira, an autonomous region of Portugal off the northwest coast of Africa. During the 1600 and 1700s, Madeira was an important provisioning point for trade ships traveling to Americas and the East Indies, and shippers would load their boats with wine for the long trek. To avoid spoilage at sea, winemakers began adding a small amount of distilled alcohol made from cane sugar to stabilize the wine. Making their way through the tropics with this now fortified wine, sailors noticed that the intense heat in the hold of the ship deepened and developed its taste, thus ushering in a new era in Portuguese wine making. Today, Madeira wine makers employ temperature controlled barreling practices to replicate the holds of the ship. As America’s leading merchant of rare, old Madeiras, The Rare Wine Co. has been a major force behind Madeira’s recent revival in the marketplace — introducing a new generation of wine lovers to the wonders of vintage Madeira. Through the efforts of Rare Wine Co., we are able to bring you the Madeira wines of Vinhos Barbeito, D’Oliveira and RWC Historic Series. Vinhos Barbeito is a relatively young producer compared to other companies (established 1946), but has an impressive collection of vintage madeira. Family owned and operated, Ricardo de Freitas is the current owner who brings energy and dynamism to the company. His madeira undergo the canteiro process. D’Oliveira is one of the greatest of the classic Madeira shippers, and one of the few to survive from the pre-phylloxera era. Founded in 1820, and today housed in cellars that date from 1619, this small jewel of a company is still owned by the same family, its vineyard holdings built up over time through a series of marriages with other wine-producing families. But what is really extraordinary is that D’Oliveira has held on to many of its most famous vintages, creating a unique, and irreplaceable, stock of old wines. And remarkably they are all D’Oliveira wines, not purchased from other shippers or growers. RWC Historic Series represents affordable Madeiras that reflect the style and complexity of the great vintage wines. 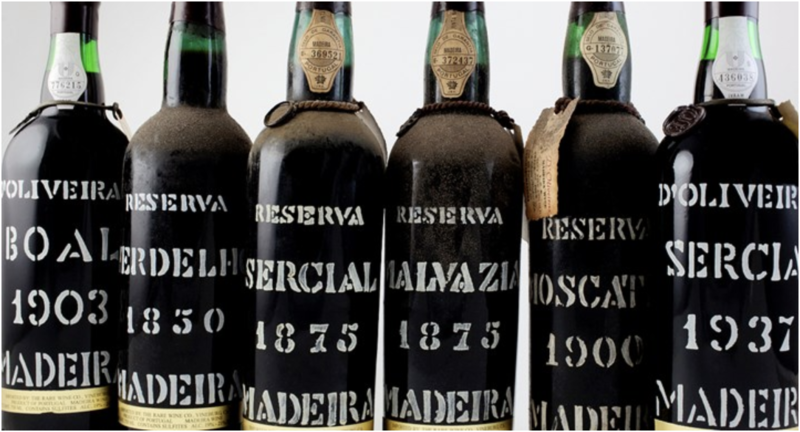 Rare Wine Company developed these wines with the dream to introduce Madeira to a broader market as well as teach Americans about the history of the wine. Right up until the twentieth century, Madeira was a popular wine in the upper class of American social life. Cities such as Boston, Charleston, New York, Savannah and Philadelphia had Madeira parties. Each city seemed to favor a particular style; therefore, Rare Wine Company named the nonvintage varietal Madeira after these American cities with a nod to the style historically preferred there. Ricardo de Freitas of Vinhos Barbeito produces the wine. Vintage Madeira, or Frasqueira, and the wines produced by the solera system are Madeira’s claim to greatness. These wines are not simply a selection of the best wines from the best years, but they are made from particular ‘noble’ grape varieties after which the wines are named. These names not only describe the grape variety, but also describe the style. Sercial is the driest of the wines. It is light in color, full-bodied and refreshing. Verdelho is a medium dry wine. It is golden in color. Boal is a medium rich wine. It is full-bodied and fruity. Malvasia is the richest and sweetest style of Madeira wine. It is dark in color, full-bodied and aromatic. Finally, Terrantez. 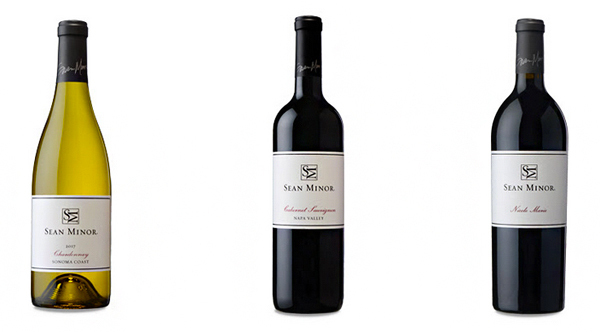 This wine can produce two styles of Madeira - rich and sweet or dry with a certain bitterness at the end. With most vines of this grape falling victim to phylloxera, Terrantez Madeira is hard to come by, but efforts are underway to replant the variety. Move aside white label! 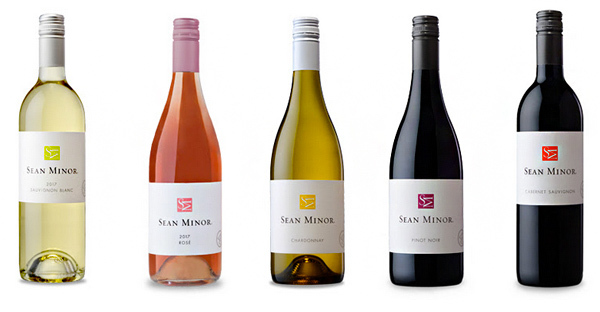 The new Sean Minor 4B California Tier now has a colorfully bold square logo on the front label. Sometimes just a splash of color will do the trick! The Sean Minor Classic Tier has also gotten an upgrade; a beautifully defined black border leads your eyes to the trusted Sean Minor producer name and logo. 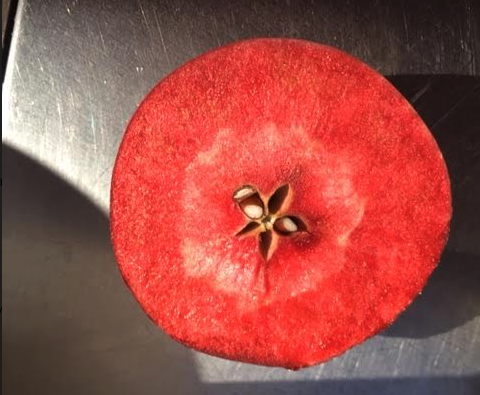 The variety is now written in a red cursive front furthering the elegance. In 1993, when Danish winemaker Peter Sisseck first arrived in Ribera del Duero - the heart of Spain’s Tempranillo production two hours north of Madrid - he saw potential for quality in a land of quantity. With hot, dry Mediterranean summers and unpredictable long, hard winters, Ribera del Duero is an unexpecting competitor to the nearby Rioja. 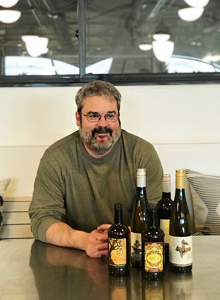 These extremes in climate, however, have proven to be the perfect storm for vast grape production, and local growers had traditionally been paid by the ton for their harvests. Trained in winemaking in Bordeaux and inspired by his garagiste friends in France, Sisseck saw an opportunity in Ribera del Duero to push old-vine Tempranillo to its upper limits. Sisseck found a group of old vines and names the project Pingus, a tribute to his childhood nickname. When a lunchtime tasting with Robert Parker brought an early Pingus vintage of PSI a 96-100 point score, the world paid notice, not only to Sissick, but to the burgeoning Ribera del Duero. Biodynamic since 2001, Pingus is the embodiment of Sissick’s old-word training and utopian vision for the region. The fresh and fruit-forward 2016 PSI continues to demonstrate Tempranillo’s capacity for excellence. 2016 is a fresh vintage, and the wine reflects it with precision and elegance on the palate. According to Sisseck, 2016 is the PSI he always dreamt about.